Proper punch set-up is crucial to keep your ironworkers running efficiently and your employees safe. A punch may wear down, but it shouldn’t break or crack. If you’re regularly breaking or cracking tools, improper set-up is often a contributing factor. American Punch can help. Send us the broken tools and a sample of the material being punched, and we’ll provide recommendations for improvement. This page provides clear illustrations of a standard punch set-up. For more information, you can review the various styles and sizes of punches, as well as our punching tips page. 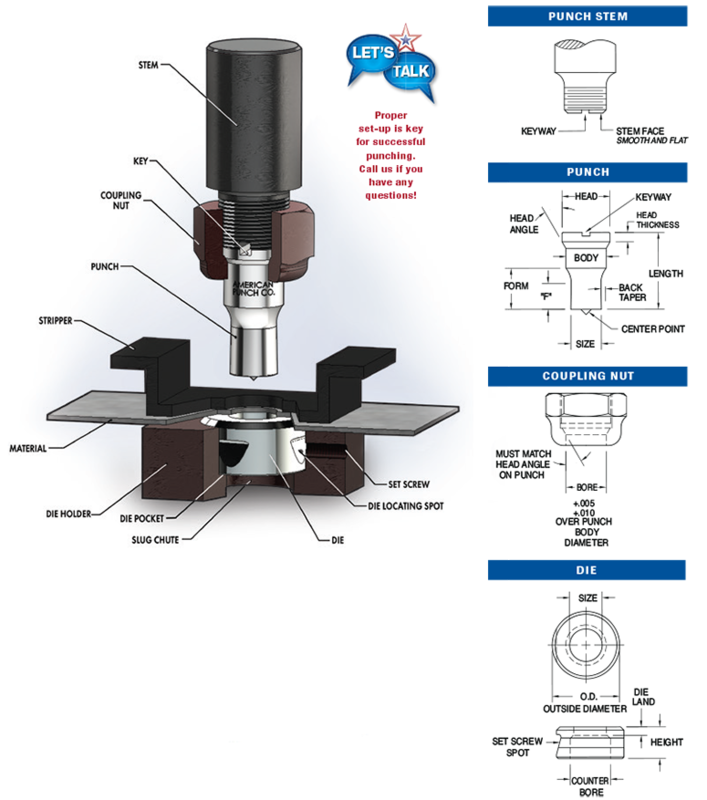 And be sure to contact us today for assistance with the standard – and custom – punches you use every day.